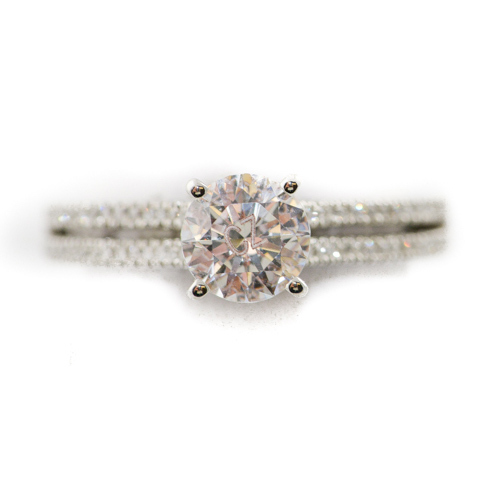 Our customer, Justin S., shares his recent engagement ring buying experience at Barbara Oliver Jewelry. Originally posted as a review, we thought Justin provided such an excellent overview of the process that we are posting it in our blog to help you better understand what to expect when you visit us. Bottom line: Barbara is a professional, in every sense of the word. She cares about your purchase, and will take care of you and guide you through the entire process, no matter how much or little you know about jewelry. The prices are extremely fair and transparent and she will not push you to go above your price range. Stay away from the garbage chain jewelers and go see Barbara. Engagement ring shopping at Barbara’s shop was the best experience I could have asked for. My now fiancée and I had looked at a few ring designs at other jewelers’ months ago, but I came to Barbara due to the excellent reviews around the internet. Ultimately, I made three trips to Barbara’s: scouting, making the deal, and pick up. On scouting day, a welcoming Barbara offered a beer and explained to a nervous me a simplified version of the intricacies of diamonds. She explained what makes a diamond look good, how diamonds are appraised and evaluated, and how she determines what the fair price of a given diamond is. I don’t think you will find this elsewhere. As I had some idea of what type of stone I was looking for, Barbara showed me a few she had in store that were in my price range. I decided to let the info sink in, and told her I would be back in a few weeks. A few days before the deal was made, I called Barbara, who in turn made a special call to her supplier to get diamonds that met my search criteria. When I arrived, every diamond she showed me was a home run. After a beer and some deliberation, I selected one, and then we determined which setting was to be used. When I came back a week later for pickup, the ring was absolutely stunning. We shared some ogling, she gave me a suggestion for insurance, and then packed me up with a thoughtful celebration goodie bag. Now, my fiancée is “obsessed” with the ring, and has had coworkers looking at it in awe and tell her THEY can’t stop thinking about it. If it isn’t the best feeling in the world, I don’t know what is.